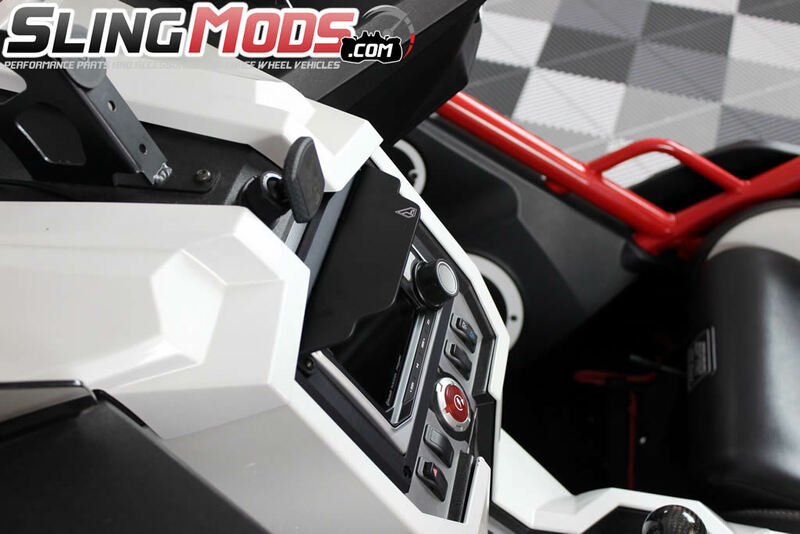 Would you like to add a Stereo Power Harness? 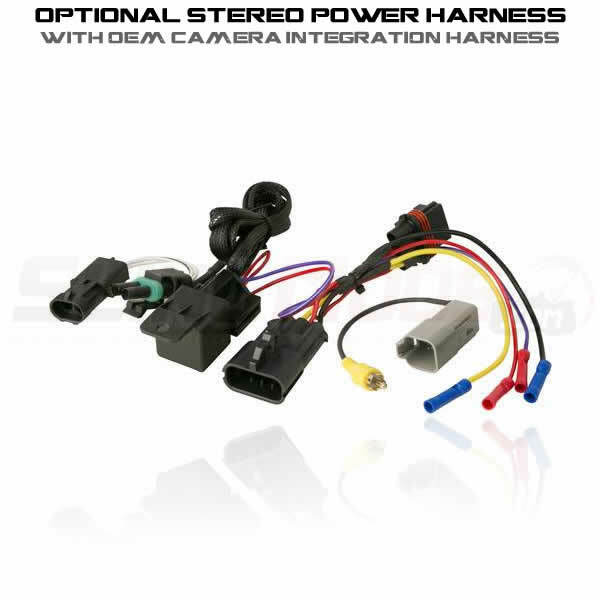 --- Please Select --- Yes, Please add the Stereo Power Harness with OEM Backup Camera Integration	(+$29.99) No Thanks! 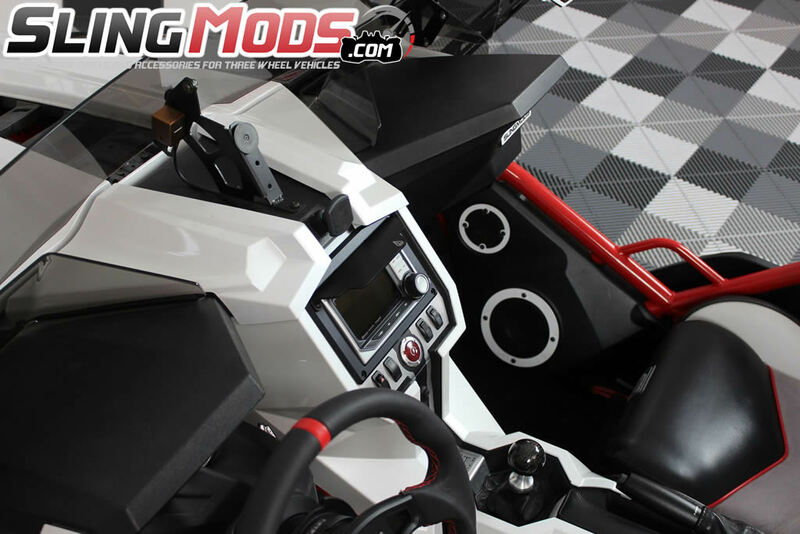 If you own a Polaris Slingshot or plan to buy one you should know that the base model currently comes without a Head Unit / Audio Receiver and the SL Model Source Unit is limited in it's functionality. 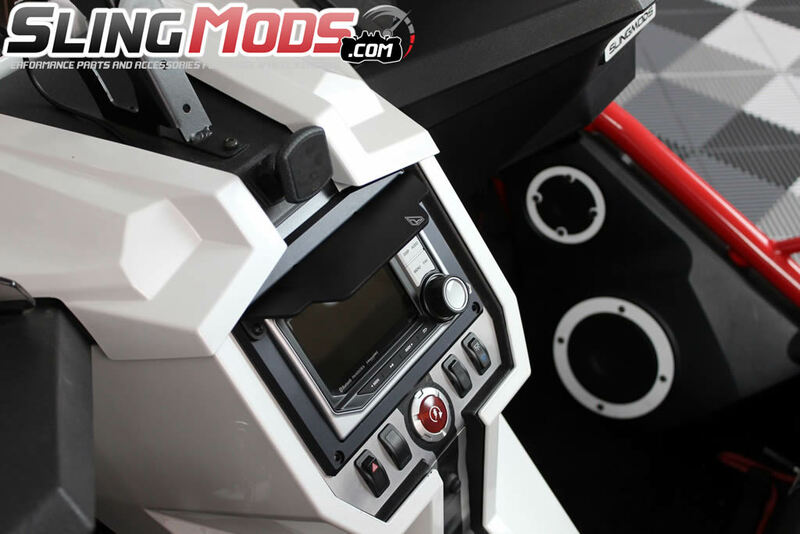 We've searched the globe for an Audio Receiver that would provide all the bells and whistles that the consumer demands while maintaining a 100% waterproof environment. Not an easy task to say the least. 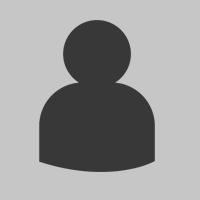 After almost a year of searching, Clarion released the CMS5. 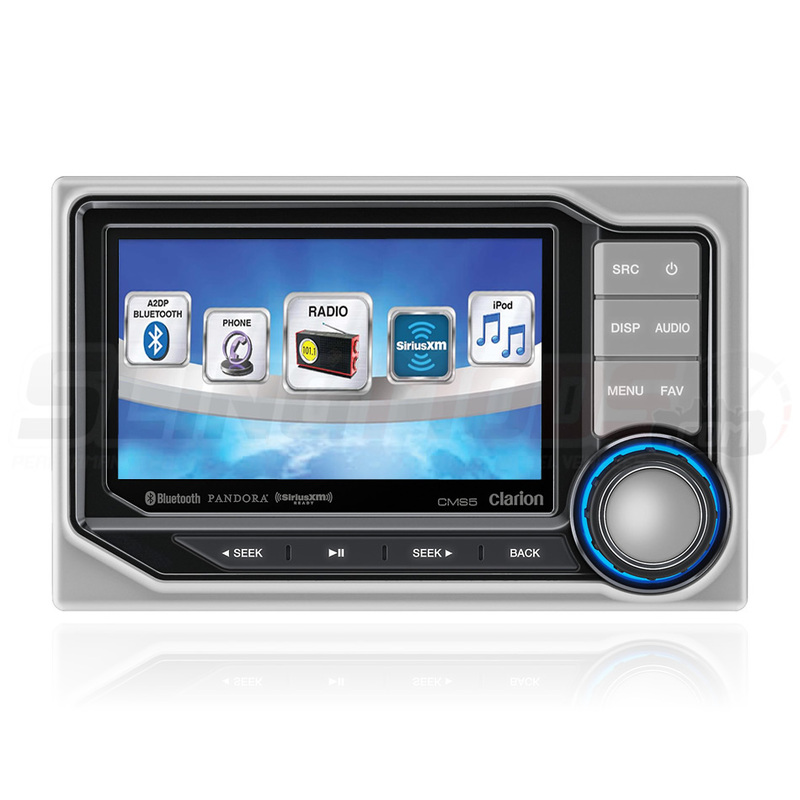 This head unit provides an enormous amount of scalability and includes essentials like AM/FM/Weather Band Radio, support for Bluetooth, Pandora, Dual USB, iPhone, iPad, Aux RCA Inputs, Sirius XM Satellite, dual camera inputs and more. 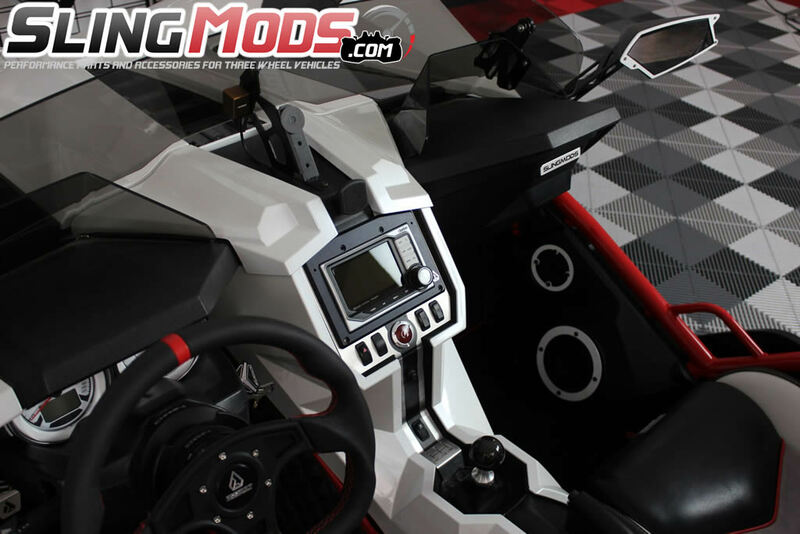 We feel the most important feature of the CMS5 is that it's IP67 water rated.. which means it's VERY protected from water damage. 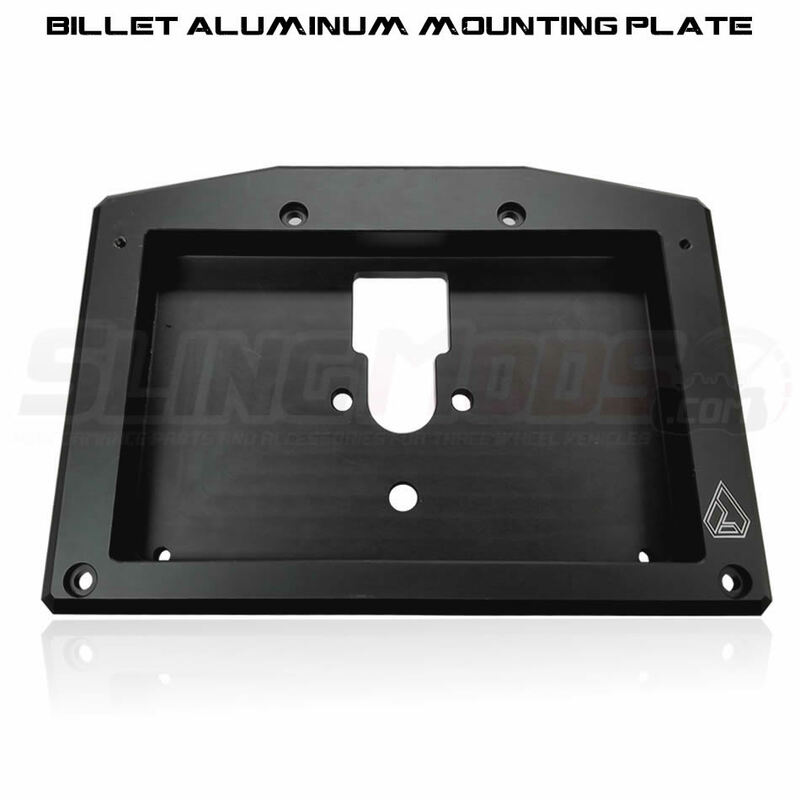 Our Billet Aluminum Mounting Plate is made exclusively for the installation of the CMS5 in the Polaris Slingshot and is required to install the head unit. 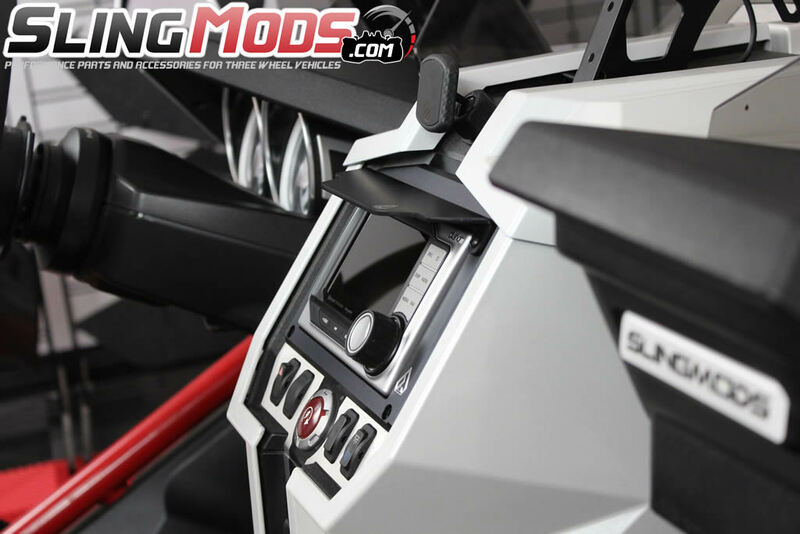 The mounting kit has been fabricated to perfectly fit the opening in the dash of your Slingshot. Hello Shawn, yes it is. 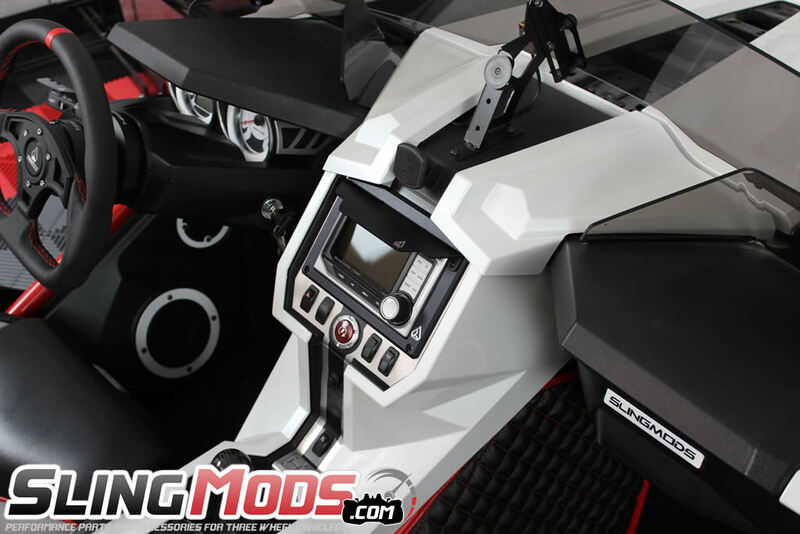 That questions was asked before the release of the Scosche wiring harness. 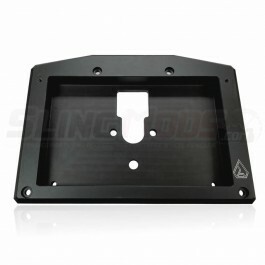 The Scosche wiring harness hooks into the "plug and play" reverse trigger plug on the transmission case. 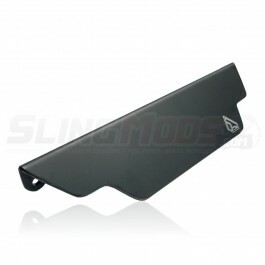 This will automatically pop the rear camera display up on the Clarion CMS5 when you put the Slingshot in reverse. 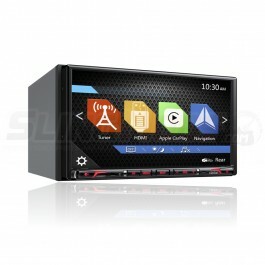 Hello Dean, you will need to do 3 things if running the CMS5 head unit with the stock speakers. 3. 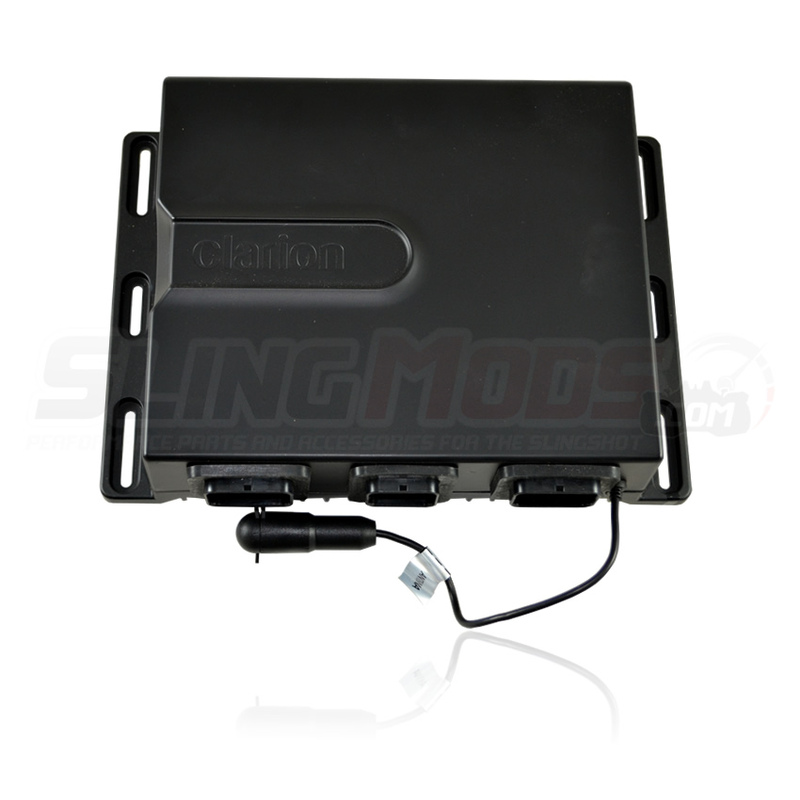 You'll need to run additional speaker wires from the output on the Clarion to the OE Speaker pods for sound. Hello Craig, yes it is. I have an Android phone and my bluetooth works seamlessly with this head unit. Had this radio for just under a month when it stopped working. Everything seemed to be working EXCEPT NO SOUND! 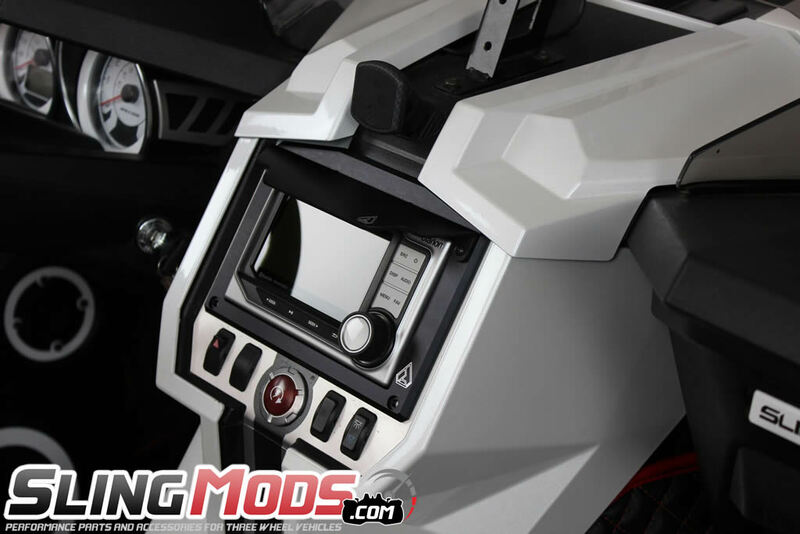 Slingmods referred me to Clarion who said the radio had to be re-programed (apparently a common problem) and I was given instructions on how to reprogram it MYSELF...What?... After a few days of telling a couple of different employees the re-programming didn't work I asked if they knew the radios needed to be programmed why did they distribute them. He asked me how long I had it and said it was sent out before being programmed. WHAT???? I just got the thing!. 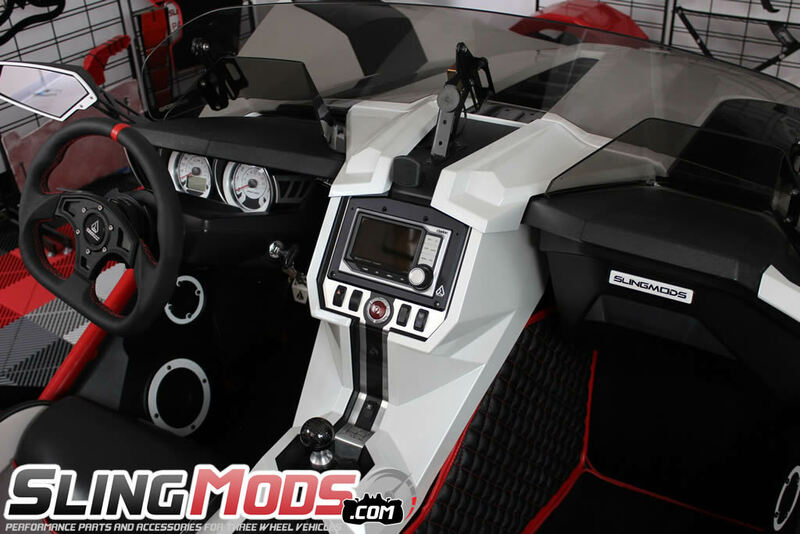 Slingmods shipped me another one and I'm waiting to have it installed. I'm not sure if this one is programmed correctly or not yet! I wouldn't have bought it had I known I had to program my own radio....Oh yeah....I lightly rinsed the inside of my SS so I know it's waterproof That's why I gave it 2 stars instead of 1 star. So slow & clunky, how did Clarion think this was ready to be released on the market? You pretty much have to set it to play one way, and leave it alone. Beyond frustrating, staring at the slow-responding screen would be a serious danger while driving. 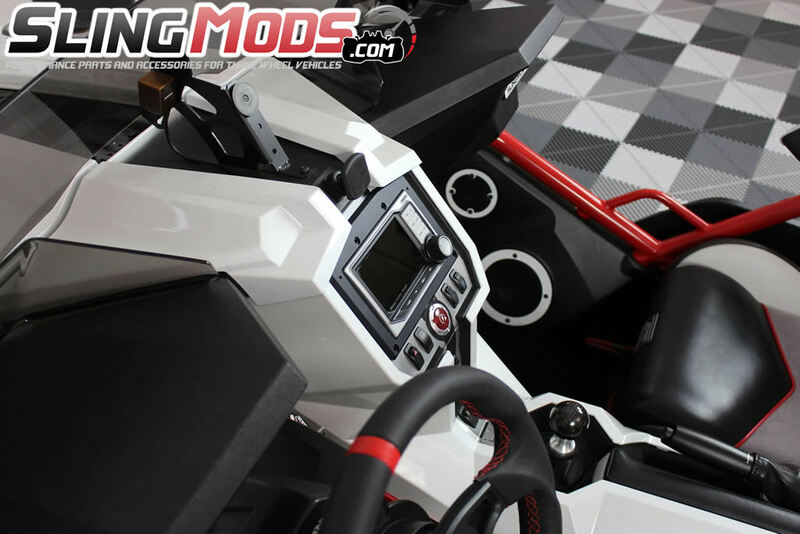 They saved maybe $10/unit by using an underpowered CPU, but even worse, they chose to save another dollar by using a non-marine spec pot for the control knob. Being the only way to control it, once water seeps into that, countdown to kaput. 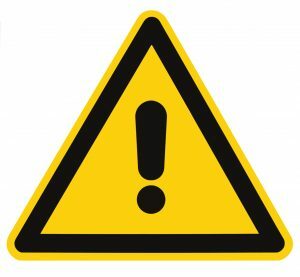 They make it painfully difficult to find a way to satisfy warranty work, and one once the measly 12 month warranty is done, Clarion has no parts which can be purchased for it… you’re stuck with no help to correct what amounts to a fraudulent “marine “ product. They know they have a problem, as they quietly pulled the stereo off the market. Watch them release a new and improved CMS6 model without mentioning what a disaster the CMS5 was, or offering to fix their mistake for their CMS5 victims. 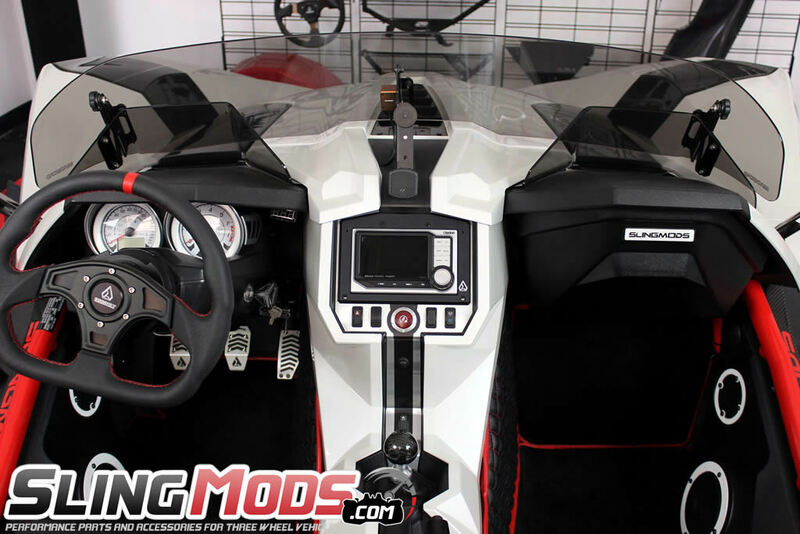 Polaris Slingshot media console visor helps prevent glare on your headunit. 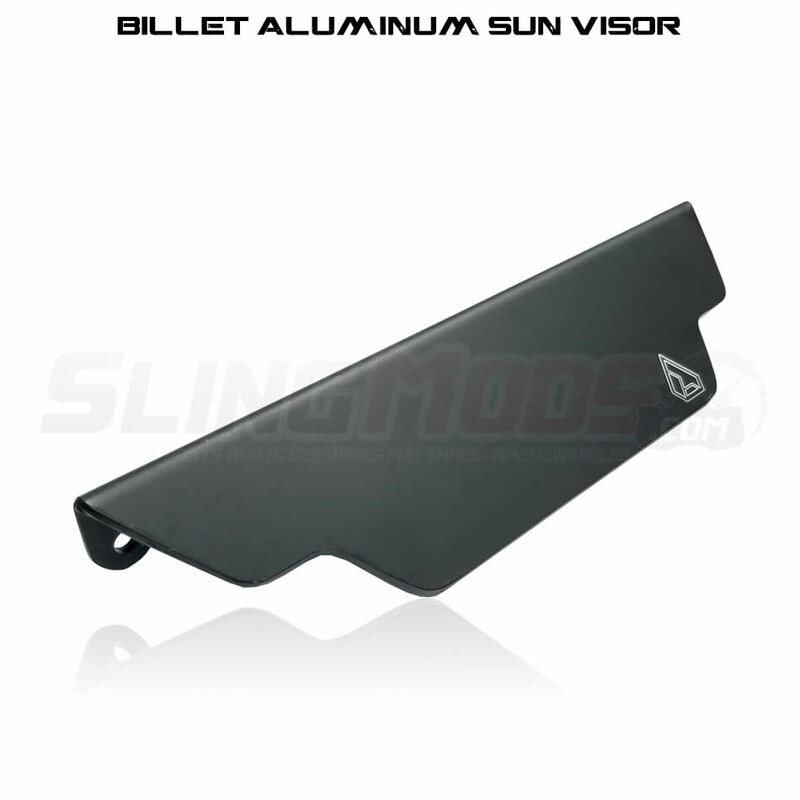 Anodized black visor mo.. 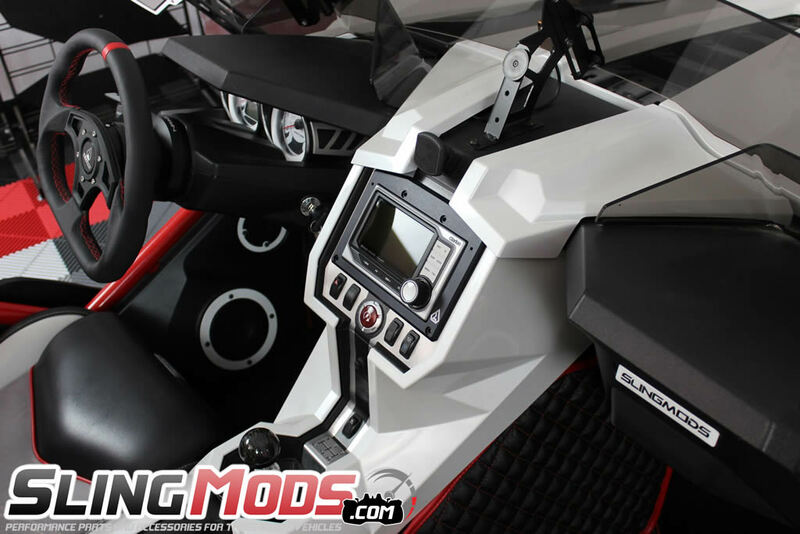 Perfectly integrate your Clarion CMS5 Stereo into the opening in the dash of your Polaris Slingshot .. 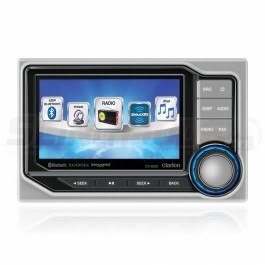 Enjoy the top of the line CD / DVD / Navigation Player from Clarion with the NX807..